The last of 13 boxes of ACU Pocket Field Pillows is headed to a CAV regiment at FOB Sarkari Karez in southern Afghanistan. This regiment, part of the 10th Mountain Division, belongs to a BCT that will start to redeploy back home in several months. One of the boxes contains the 12,000th PFP we’ve made and shipped; kinda sounds like alot — until I remember that we have about 100,000 American troops still in Afghanistan, and as they return home, replacements are sent to take their places. The current administration is talking about withdrawal sometime in ’14…not soon enough for me. In the meantime, we will continue working to let these young men and women know that we will not forget them. I received an email this morning from a Soldier with the 2-183CAV. The Soldiers in this regiment, all from Virginia, deployed to Iraq, COS Kalsu (Contingency Operating Station), just south of Baghdad. Several weeks ago, we shipped several hundred field pillows to this regiment, and we couldn’t have done it without the support of the Churchland Lions Club. easy…just please know that the guys got a kick out of them, they were distributed to Soldiers, and that they are being used. You’re great Americans! Thanks so much, Brian, for taking your time to write! Your friends and families miss you all; and please know that you are not forgotten. I’ve been coordinating this effort for the VNG troops with Pam Korsen, the Task Force 183 Squadron Family Readiness Coordinator. The 2-183rd CAV deployed, along with their supporting units, hundreds and hundreds of troops all from Virginia to Iraq. And we’ve made ACU field pillows for all of them. 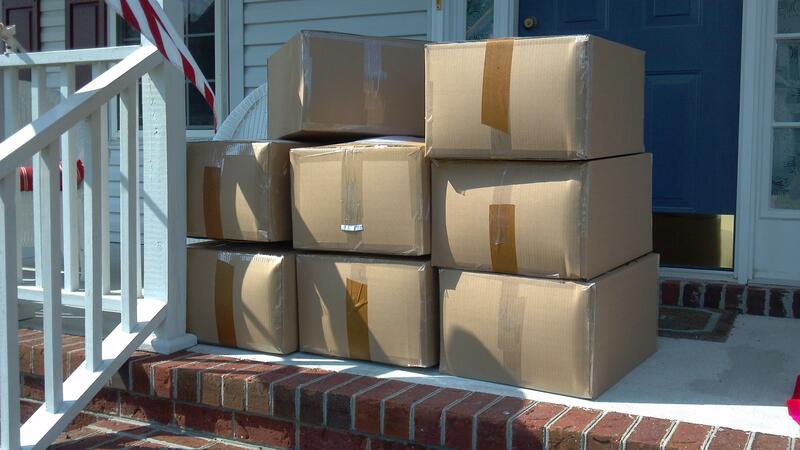 The first wave of boxes has been shipped, and more will be on the way as soon as we know where to send them. The small box you see on the top is headed to Afghanistan, to our adopted Soldier, Daniel Pena (he’s in Kandahar with the 4th Infantry Division). I heard from a Chaplain with the 3-71 CAV that there were lots and lots of Soldiers who could use a little support from home. He sent me a list of 11 young troops, and I sent the list out to all the PFP volunteers; before 24 hours passed, each of those troops had someone back home to stand up for him. If you’d like to adopt a Soldier, please just drop me an email or leave a comment. 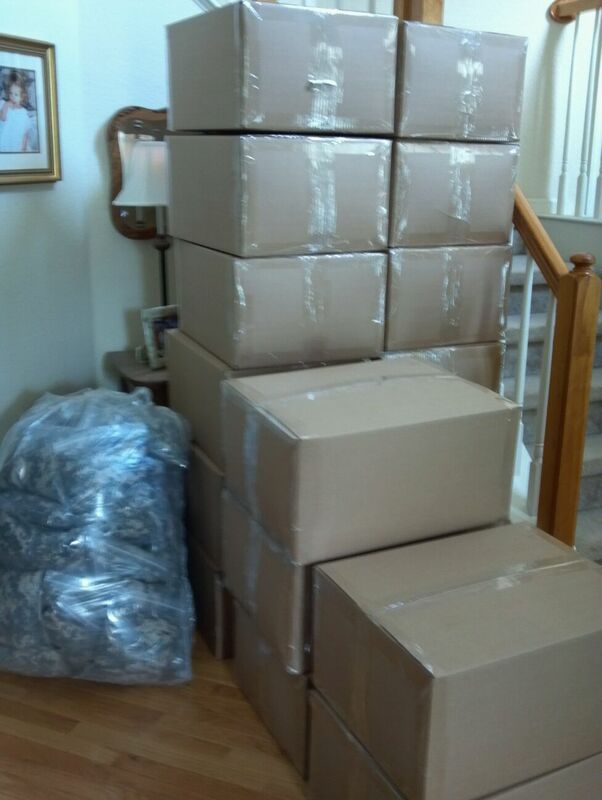 Here are almost 800 field and hospital pillows ready to be shipped. Fifty fleece pillows are headed to the Role 3 MMU in Kandahar, 75 are headed to Landstuhl, and almost 900 ACU field pillows will be shipped to soldiers from Virginia. I spoke to the Churchland Lions Club a few weeks back, and had the chance to talk to a Virginia National Guard dad. 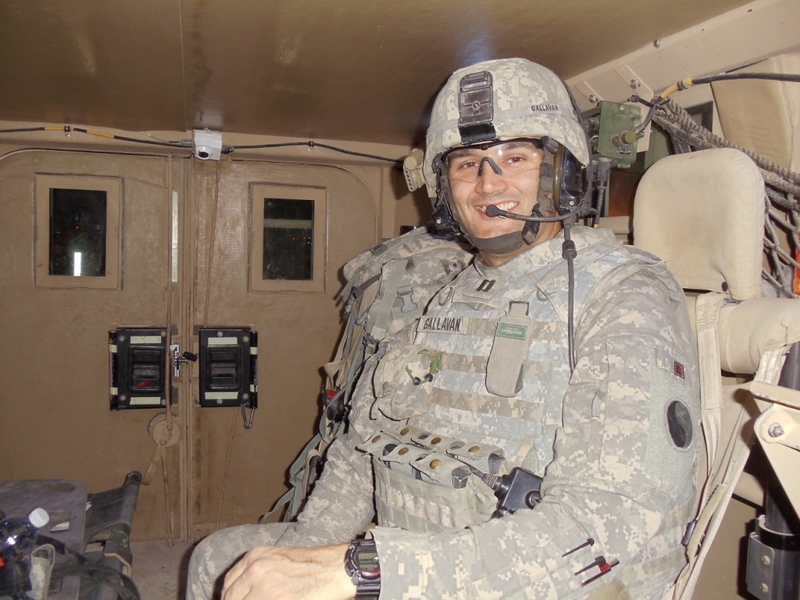 He told me his son, along with nearly 1,000 of his closest buddies, is headed to Iraq for a year, and asked if Operation PFP would ship the Guardsmen field pillows. Of course we will! 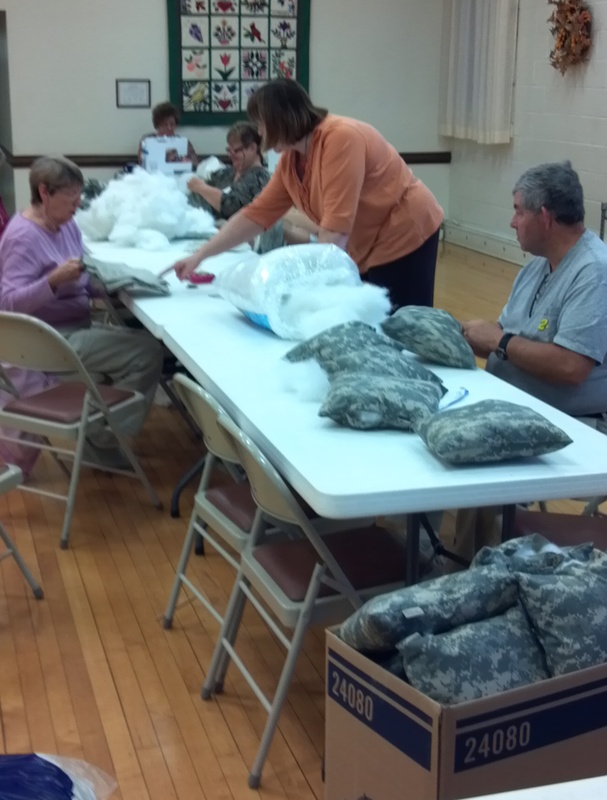 During the latest sew-ins at Church of the Resurrection and the Beazley Senior Center (both in Portsmouth) we made nearly enough field pillows for every Guardsman from Virginia. The next sew-in is scheduled in 2 weeks, and there won’t be any problem at all finishing enough for all these soldiers. Excellent job by the folks at the Beazley Senior Center! Earlier this week, members and friends of the Beazley Senior Center in Portsmouth gathered for their monthly sew-in for Operation PFP. In just a few short hours, aided by coffee, OJ, doughnuts and fruit (and not a little gossip), together we finished enough field pillows for 2 entire Infantry Companies. 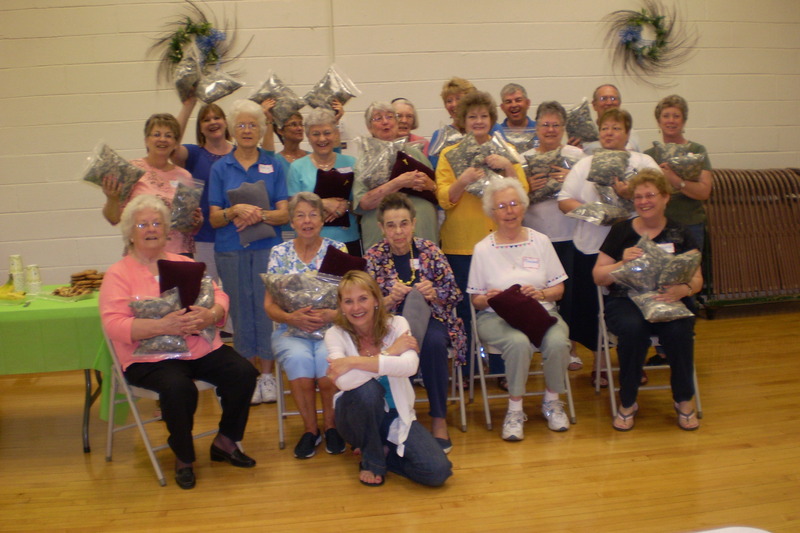 These volunteers cut fabric, sewed, stuffed, bagged – and I think I can safely say we all had a wonderful time sharing our friendship, while working together for the benefit of our soldiers so far away from home. 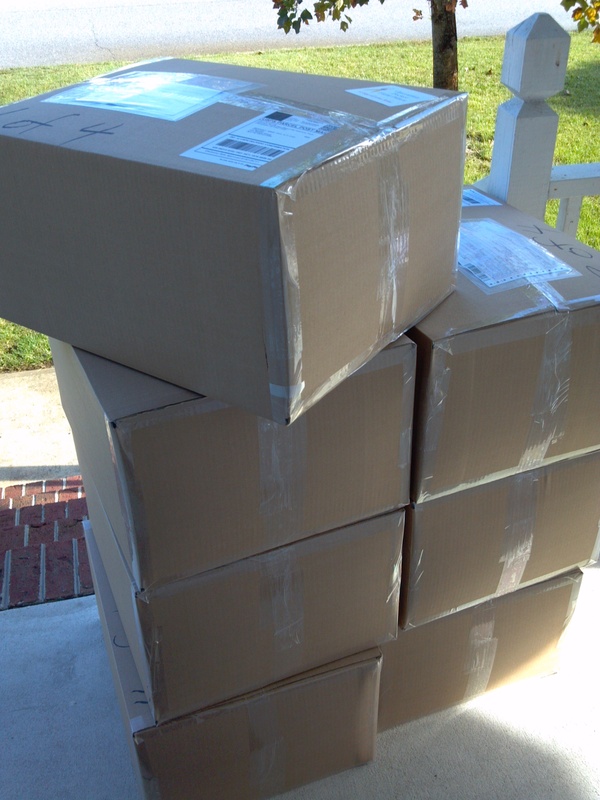 Here are eight boxes, tightly packed with hundreds of field pillows, ready for pickup — a total of 121.6 pounds. 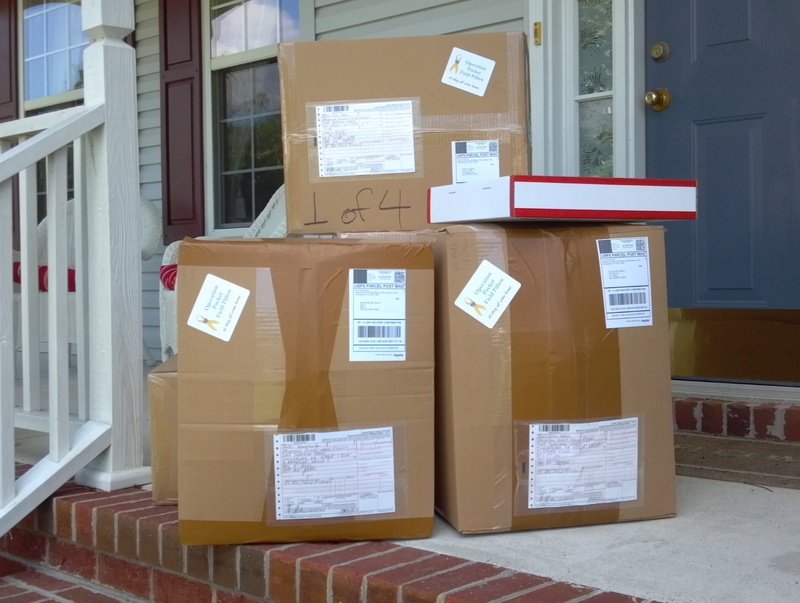 All the boxes are headed for companies with the 2nd Battalion, 87th Infantry Regiment, 3rd BCT, 10th Mountain Division. Great job, friends! Can’t wait for the next sew-in!!! FYI: It’s easy enough for the bad guys to find information on the location and numbers of our troops, and I don’t want to contribute in any way to their job or make it any easier. So I’ve removed any references to which battalion, how many troops, exactly where they are or what they do, and any other specific information. This “straining” of information for wide dissemination (like the Internet) is called OPSEC, or Operational Security. I wish our newspapers practiced this concept more. Thank you so much for your generous gift for my Soldiers of ACU pillows. They really enjoyed getting them since almost all of them forgot to bring pillows in their kit bags. Every Soldier received one, and we even had a couple left over. Thank you again for your support, thoughts, and prayers. Living on a [small] outpost so far from home can get lonely, but you brought us a touch of home, and that makes a world of difference to our Soldiers. Thank you, Jeffrey, for taking the time to write us. Please come home safely, and know that we will not forget you.